With our Canadian winter weather in full-swing, Contrans would like to take this opportunity to remind all drivers of some very valuable winter safety tips. Whether it’s poor visibility, slippery conditions or extreme cold, it’s always important to drive with caution and be prepared for unexpected events. 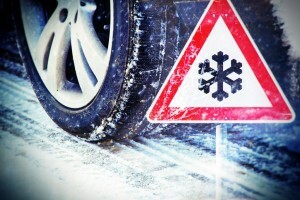 Even if you’ve purchased the best winter tires on the market, there are still some things that can help you avoid a collision or a wipe-out in the snow and ice of the winter months. A good way to avoid skidding is to drive appropriately for road and weather conditions: SLOW DOWN. Allow extra travel time and be very careful when you brake, change lanes, make turns and take curves. Even careful and experienced drivers can skid, so be prepared. Skidding may be the result of panic braking when you are trying to avoid an obstacle on the road. What should you do? Learn to handle a skid. Practice handling a skid in a safe location, until correcting a skid becomes a reflex – and remember that sometimes the vehicle will skid a second and even a third time before you regain complete control. Avoid forceful braking or sudden, jerking movement of the wheel. Electronic Stability Control helps to avoid skidding. Remember that when driving on a snow-covered road there may be more snow/slush between lanes than in the lane, making changing lanes more difficult. Leave more distance than normal between and your vehicle and the vehicle in front of you. Pay close attention to the road – as far ahead as you can. If you don’t have anti-lock brakes (ABS), the best way to stop on a slippery road is to brake but not so hard that your tires stop turning. If you brake too hard and cause the wheels to lock (stop turning), release the pedal just enough to get the wheels rolling. Then, brake again right away, with slightly less force than before. ABS is a system that allows you to steer while braking hard. ABS prevents wheels from locking and allows you to control steering during hard braking. When wheel sensors detect lock-up, the system relieves enough pressure to keep the tires rolling, while you brake hard. You will feel the brake pedal rapidly pulse back against your foot and may hear some mechanical noise. DO NOT lift your foot from the brake or pump the pedal. In an emergency stop, press the brake quickly and hard. The ABS system will NOT shorten stopping distance. With all of these tips in mind, Contrans would like to wish everyone a wonderful and safe winter. Stay calm, give yourself plenty of time to arrive at your destination and enjoy the white stuff—before long we’ll be back with the air conditioning on full blast!